Date of next meeting Thursday 17th November 2016. Minutes of the Community Council meeting on 19th November 2015. This is our new Community Council website. We have changed the underlying software to something that we expect will be easier to maintain, and we have taken the opportunity to give the site a fresh new look. 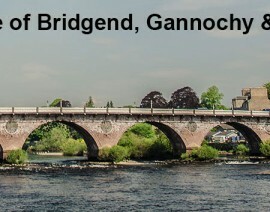 COPYRIGHT Bridgend, Gannochy & Kinnoull Community Council.